BOZEMAN, MT. 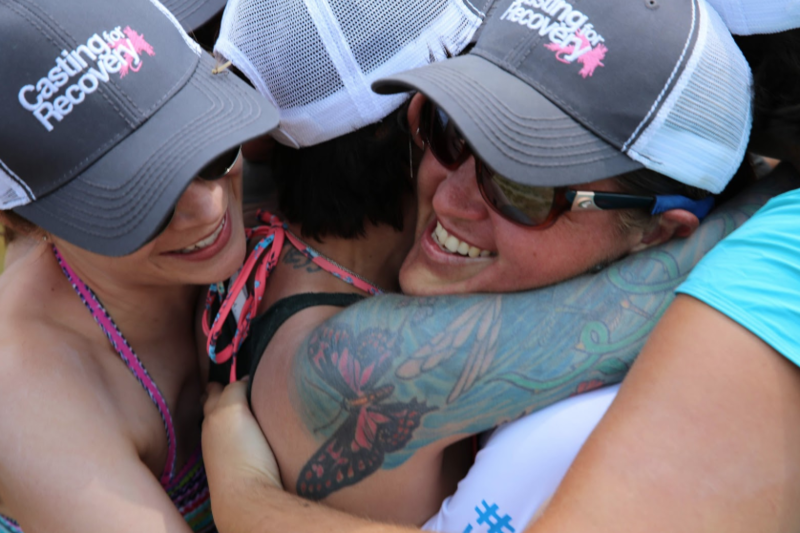 August 22, 2018, Casting for Recovery (CfR), a national nonprofit organization providing fly fishing retreats for women with breast cancer at no cost, is proud to announce a collaborative retreat program with another national nonprofit, Boarding 4 Breast Cancer (B4BC). This specialty retreat was recently held in Dubois, WY at the 3 Spear Ranch, August 10 – 12, 2018 and served 10 women, age 40 and under with breast cancer. The event was generously sponsored by YETI and Zodiac Nautic. 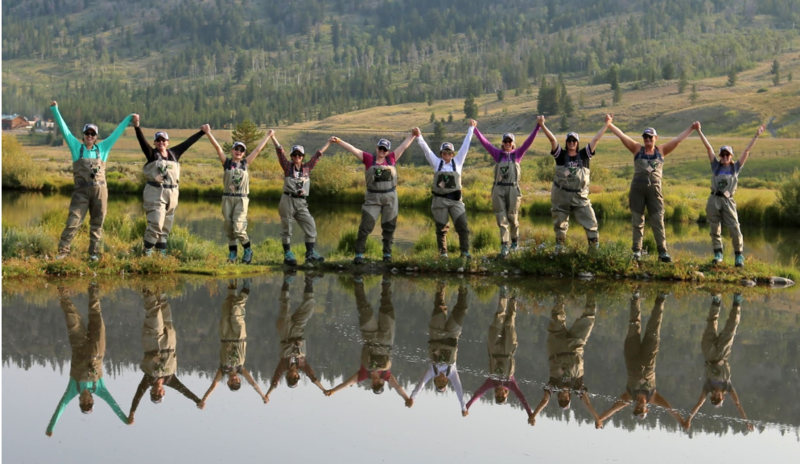 Bringing together 10 young women and 2 like-minded nonprofits focused on healing through outdoor experiences was an innovative and inspirational collaboration. 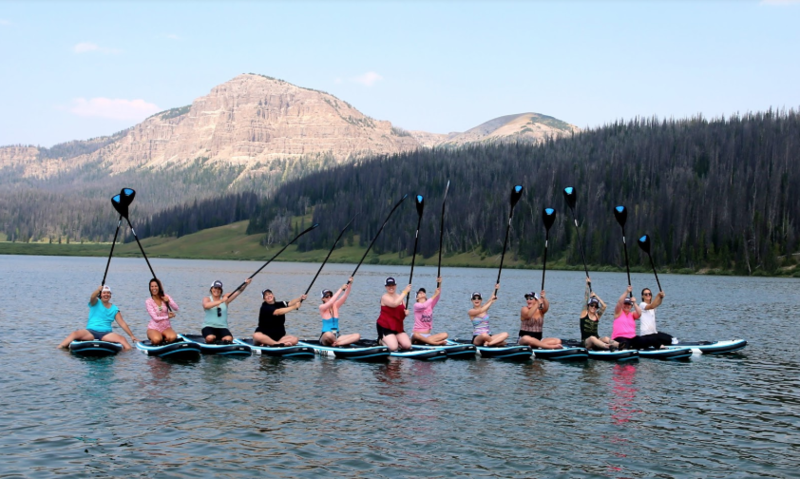 The weekend provided opportunities for the women to discover a renewed energy for life, feel empowered by learning to stand-up paddle board and fly fish, and to experience connections with other women and nature. The program also included both western and eastern medical education, restorative yoga and peer support. “Hiking up the hill to watch the sunrise or sitting around the campfire watching the sunset, listening to the river, hearing the birds, and feeling the grass was perfection” said one retreat participant. Casting for Recovery The mission of Casting for Recovery® (CfR) is to enhance the quality of life of women with breast cancer through a unique retreat program that combines breast cancer education and peer support with the therapeutic sport of fly fishing. The program offers opportunities for women to find inspiration, discover renewed energy for life and experience healing connections with other women and nature. CfR serves women with breast cancer of all ages, in all stages of treatment and recovery, at no cost to the participants.